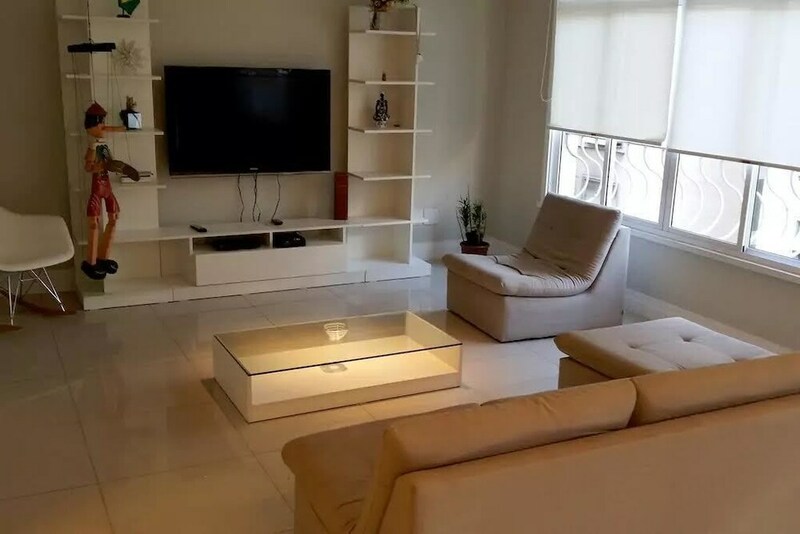 Located in Copacabana, this apartment is within a 5-minute walk of popular attractions such as Copacabana Beach and Avenida Atlantica. The 3-star apartment includes a kitchen, a living room, and a dining area. The apartment is air-conditioned and features a kitchen and space to spread out with 3 bedrooms, a living room, and a dining area. A flat-screen TV comes with cable channels, and guests can stay connected with free WiFi. Other standard amenities include an espresso maker, an ironing board, and a desk. This apartment features free WiFi in public areas, express check-in, and laundry facilities. Airport transportation is made easy with an airport shuttle (available 24 hours) for BRL 120.00 per vehicle roundtrip. A multilingual staff is on hand to assist with luggage storage and tours/tickets. A front desk is not available at this property. Guests must make arrangements for check-in by contacting the property at least 72 hours prior to arrival using the information on the booking confirmation.